Activists submitted 1.2 million signatures on Monday calling for the ouster of Santa Clara County Superior Court Judge Aaron Persky over a controversial jail sentence he gave former Stanford student Brock Turner for sexually assaulting an unconscious woman. The change.org petition was delivered by nearly 40 protesters at the courthouse around noon. This is a separate petition from the move.org petition, which was also signed by a million people. Both efforts are seeking to get Persky to leave his post. The change.org petition makes clear it is seeking to force impeachment hearings against the judge, and is not seeking a recall against him. In June, Persky sentenced the former Stanford swimmer to six months in jail rather than the minimum state prison term of two years for digitally penetrating an intoxicated unconscious woman outside a campus fraternity party. 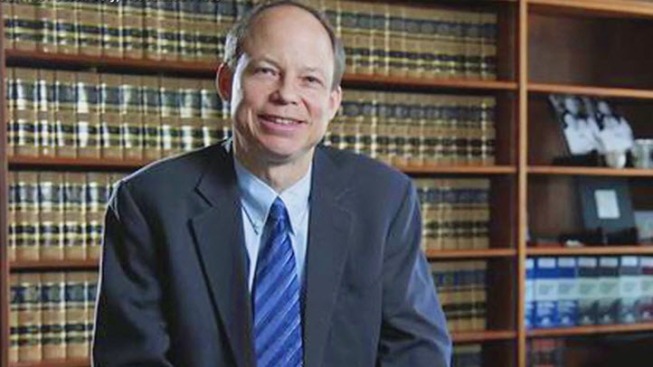 Persky has faced intense international criticism over the sentence, including a recall threat from Stanford law professor Michele Dauber and the national women's advocacy group UltraViolet. "We cannot let him continue," protestor S. Suresh of Saratoga said. District Attorney Jeff Rosen had wanted Turner to spend six years in state prison. But the judge followed probation officers' recommendation for a shorter sentence in jail, noting his youth, intoxication at the time and previously clean record. Legal experts said Monday's efforts will have little impact because Turner's sentence was still within legal guidelines and the judge has not committed an impeachable offense. "The bias part is basically what we are focusing on. He has shown to treat one group of people one way, and the other gorup of people another way," Ruiz said. "We hope they will see the pattern that we see." The protestors said until Persky is recalled, impeached or steps down on his own, they will continue to speak out to give victims a louder voice.